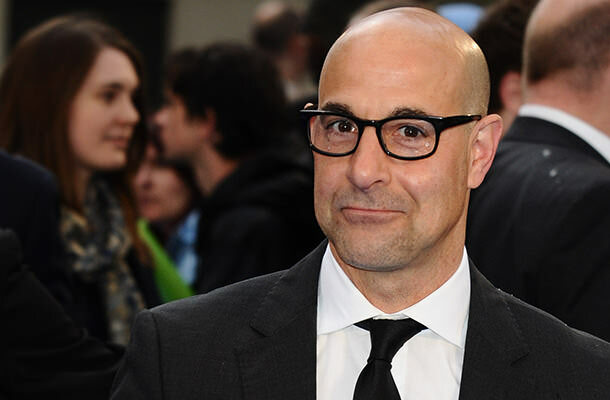 If you are in the need of an all-around actor with whom you simply cannot go wrong, go with Stanley Tucci. The makers of the upcoming horror movie called “Patient Zero” have figured this out and have hired this talented actor to play a psychotic, rabies-infected doctor with a diabolic agenda. We are already bought. According to Deadline, Tucci will be again joining Natalie Dormer (they co-starred in The Hunger Games: Mockingjay – Part 1), who will be playing the female lead in this post-apocalyptic rabies-horror. The story is apparently set in a world affected by a huge pandemic of a “super strain of rabies,” which ends up evolving into something much more monstrous, violent and evil. The protagonist of the story, who turns out to be immune to the pandemic and develops a strange ability to communicate with the infected, now has to hunt down the patient zero in order to save his wife and, of course, all of humanity. 2015 will apparently be just as successful as the previous year for this talented actor. Stay tuned.